John D. Bisognano, M.D., Ph.D.
Dr. Bisognano is a Professor of Medicine and Director of Outpatient Services in the Division of Cardiology and joined the faculty in 2001. He is Director of the Comprehensive Hypertension Center at the University of Rochester, which was recently accredited by the American Society of Hypertension. He is accepting new patients in area of general cardiology, hypertension (including resistant and refractory hypertension) and heart failure. He is involved in numerous clinical trials that may offer new treatments to people with cardiovascular disease. He also attends on the inpatient Cardiac Intensive Care Unit Service where patients with all types of acute cardiovascular disease, including advanced heart failure, are treated. He is board certified in Internal Medicine, Cardiovascular Disease and Advanced Heart Failure and Transplant Cardiology. Dr. Bisognano obtained his B.S. from the Massachusetts Institute of Technology, a M.A. from the State University of New York (SUNY) at Binghamton, a Ph.D. from SUNY Binghamton, and his MD degree from SUNY at Syracuse. He was a medical resident at the University of Michigan Medical Center, a Fellow in Hypertension at the University of Michigan, and a Cardiology Fellow at the University of Colorado at Denver. He joined the University of Rochester Medical Center in 2001. He is currently Immediate Past-President of the American Society for Hypertension, and Vice-Chair for the American Heart Association High Blood Pressure Council. 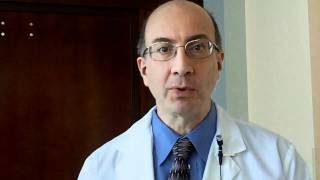 Dr. Bisognano is a Professor of Medicine and Director of Cardiac Rehabilitation and Clinical Preventive Cardiology. 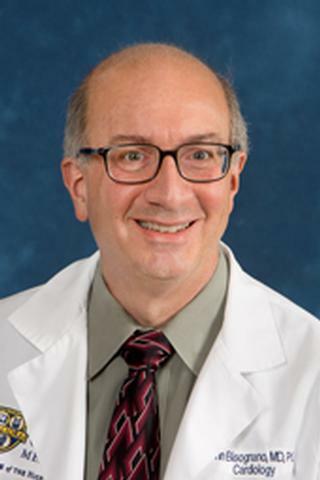 He joined the faculty in September 2001 from the University of Michigan where he participated in the Hypertension and Vascular Medicine Program as well as the Heart Failure and Transplantation Program. Dr. Bisognano's research focuses on cardiovascular risk factor reduction, with a particular interest on improving compliance with the national guidelines for the treatment of hypertension. He is also interested in the etiology of hypertensive urgencies and emergencies, including the development of evidence-based treatment protocols for office patients with severely elevated blood pressure but no evidence of ongoing target organ damage. Additionally, he is interested in a community-based education program in the evaluation and treatment of hypertension, noting that only a small fraction of patients with hypertension achieve the blood pressure goals suggested by the national guidelines. Dr. Bisognano is Upstate Governor for the New York American College of Cardiology through March 31, 2012. He is also the President, of the New York Cardiological Society, effective September 30, 2010 – March 31, 2012, and the President of theNew York Chapter, American College of Cardiology, present to September 30, 2010 through March 31, 2012. 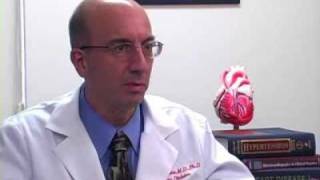 Diet Sodas: Do They Hurt Heart Health?